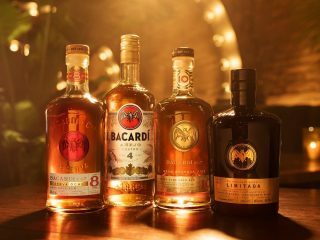 This is a unique blend of the finest BACARDÍ rums patiently matured for eight years. Serving it over ice unlocks the classic scents of oak and fruit peels, while on the tongue, it’s sweet and rich. In an old fashioned glass, pour BACARDÍ Reserva Ocho rum over a single, large ice cube.